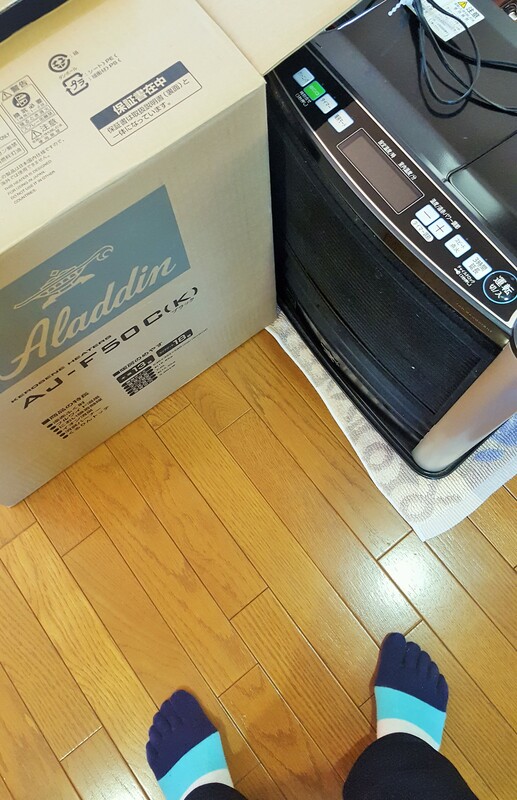 Since we have 立冬=ritto, the first of winter 二十四節気 today, Mei-Shun decided to wake Mr. Aladdin up. So heavy and powerful he is, she must be very careful. In order to protect tatami mats, she spread them with two bathmats. Tipping his cardboard box toward her side, she put it on a mat before bending her knees to hold and set him on another. Now, it’s become easy to pull him to the living room.